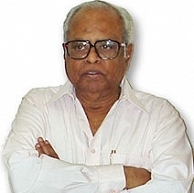 Legendary director K Balachander celebrates his 83rd birthday today, the 9th of July. He has always been the one who banked on hard-hitting themes and unconventional subjects which even bordered on the controversial. KB is known for introducing megastars like Kamal Haasan, Rajinikanth and also other versatile actors such as Vivek, Prakash Raj to name a few. The 'Iyakkunar Sigaram' has been honored with the Dadasaheb Phalke Award, the Padma Shri and numerous National and Filmfare Awards. His production house Kavithalaya Productions has delivered many memorable films in the recent past and they are also a big presence in the TV space. His achievements and milestones are so many, that writing about them all, is close to impossible. For now, we salute the man and wish him a very happy birthday and healthy years ahead. Neetu Chandra Passes 'Vishwaroopam' Test For Hollywood!